I can’t tell you how very very thankful we are for this incredibly thoughtful surgeon. We have been amazed at how focused he is on Cannon and his specific needs. He is first and foremost, a surgeon. You would think he would just want to cut. But not this guy, he wants to be sure we do this right! He wants to be sure we have exhausted every test possible, even the less likely ones, before we do something drastic. This man has my total and complete respect and we are trusting him with our baby’s life. We will hopefully get the 2 tests he recommended next week and then make our decision. And we have to make the right decision. Because if we go this route, it cannot be undone. There will be nothing to put back. He expects for the surgery, whatever it is, to happen in the next couple of weeks. Here is one of those songs. I pray it will minister to your heart, as it did mine, when you read the lyrics and watch the video. THANK YOU ALL FOR YOUR PRAYERS AND SUPPORT! We are so grateful that you are coming along on this journey with us! Cannon made it home from the hospital in time for Easter! What a blessing! And he seemed to be doing well so we were able to go to church!!!! In their precious Easter outfits personally smocked by their Grand Mommy. Our church didn’t have a nursery that day so both boys got to go to church with us. (Got to or had to…..hmmm.) I packed plenty of snacks and toys to hopefully keep them entertained for the service and we set off. We got there a few minutes late and couldn’t find a seat downstairs. So, we went to the balcony. We chose seats right along the front row of the balcony next to some friends and their 2 girls. The girls were enjoying themselves taking it all in and dancing to the music. Townsend joined right in. Cannon tensed right up and said several times …”I want to get out of here.” (A script he uses when he is uncomfortable.) Whether it was the music, the large volume of people, unfamiliar surroundings, or our constant nagging to “shhhhhh”……..I don’t know. I realized immediately that I was going to have to go straight for the snacks. So, I gave him a snack cup full of yumminess. He wolfed it down far too quickly. I was trying to slow him down but anytime I did so, he loudly voiced his displeasure. Of course, Townsend decided he wanted snack too so I gave him his snack cup. He was more interested in the music and left it unattended a few times. He was busy clapping and telling us “This is fun stuff!” So, it was raided and eventually taken over by his brother. I tried then to distract Cannon with the toys I had brought. However Elmo, some Matchbox cars, a small Magna Doodle, and a few books were of no interest to him at that moment. He squirmed and fought me to get down. He ran over to the balcony’s half wall……and grabbed the top with his hands and hung there. My anxiety took over. I couldn’t take it. I know him and I know that if given a moment…..he could try to find a way over that wall. Mark grabbed him and I tried to get him to sit back down. I even gave him a little more snack. But it was short lived. By time for the sermon, we were out the sanctuary door to join many other parents and kiddos in the Fellowship Hall. Townsend lasted a little longer but he and Mark joined us a little later. 😉 Just another day at the office as a parent! When church was over, we headed home for some more fun. I spent the rest of the day in the kitchen. My haven! 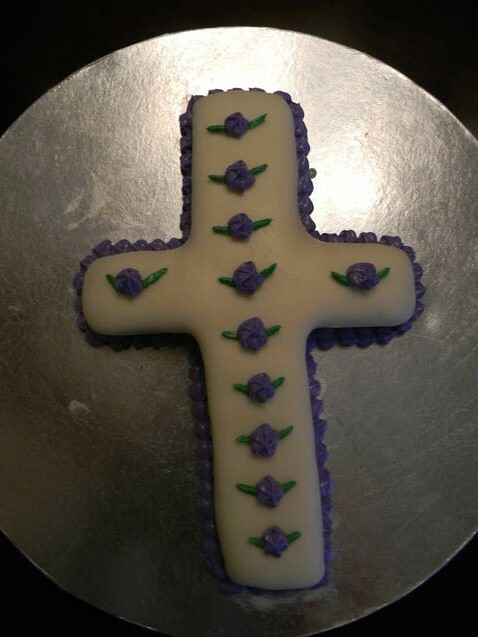 First, I made a gluten free vanilla cake that I later cut into the shape of a cross, covered in fondant, and decorated with purple flowers. Then I made a Regency Beef Tenderloin with Horseradish Butter, Balsalmic Roasted New Potatoes, Green Bean Salad with Feta Cheese, and my Mom’s Pineapple Casserole. I totally use cooking as an escape. 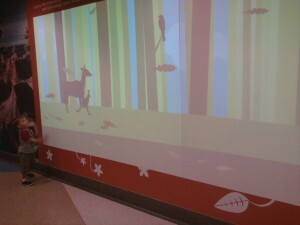 Give the kids a video, crank up my ipod, and go to it! It’s the best therapy! Later, we gave the boy’s their Easter baskets. They like Charlie Brown so there is no such thing as the Easter Bunny in our house……it’s the Easter Beagle. 😉 Since, Cannon can’t have candy our baskets look a bit different than most. They each got a stuffed animal from Hallmark that has something to say or a song to sing, a Sesame Street video, a toy, and 3 books. They had a good time playing with each thing! After that, we went outside for an Easter Egg hunt. The boys waited on our screened porch for me while I hid the eggs. Then they came out and went to work looking for them. They had a blast and really worked together! They left their baskets in the middle of the backyard and brought each egg over to “shoot” inside when they found them. Townsend gave almost every egg to Cannon. He loves pleasing his brother. It is so sweet! Our Easter was very nice and I hope each of you had a blessed day, as well! One poem kept coming to my mind when I was reflecting on this amazing day in the life of our Lord and the world. It isn’t necessarily an Easter poem but I hope you will enjoy it. Here goes……. He was born in an obscure village, the child of a peasant woman. He worked in a carpentry shop until he was thirty, and then for three years he was an itinerant preacher. When the tide of popular opinion turned against him, his friends ran away. He was turned over to his enemies. He was tried and convicted. He was nailed upon a cross between two thieves. When he was dead, he was laid in a borrowed grave. He never wrote a book. He never held an office. He never owned a home. He never went to college. He never traveled more than 200 miles from the place where he was born. He never did one of the things that usually accompanies greatness. Yet all the armies that ever marched, and all the governments that ever sat, and all the kings that ever reigned, have not affected life upon this earth as powerfully as has that One Solitary Life. Cannon had a restful night. He went to bed early and slept until 6 a.m. without so much as a peep all night. A pretty impressive feat in a hospital. I even felt comfortable enough that he wouldn’t pull his I.V. out that I didn’t sleep in the bed with him for the 1st time ever…….I pulled the chair-that-pulls-to-a- bed thingy over next to his bed and snoozed. It was nice! He woke up talking away and seemed very connected and “with it.” I was so excited! This is what usually happens a couple of days after a cleanout. He is phenomenal for a few days but then begins to show signs again that he isn’t feeling well. That is the pattern that we cannot seem to kick. But, I am grateful for the good days. So grateful! The nurse came in and we decided it was okay to pull his I.V. He was doing good and discharge was just a formality. We ordered breakfast and got him a shower. After that, I poured him some Almond Milk. He wouldn’t drink it. Hydration is crazy important for him……so that we can “keep things moving” and to allow all his meds to work properly. His seizure meds actually lower his sodium level and so if he were to get dehydrated it puts him in danger a lot faster than the average kiddo. This has forced me to become very strict with him on hydration. His docs want him to drink at least 48 ounces of liquid a day. So, our rule is that he has to drink his milk before he can have breakfast. Cannon would eat all day long and not drink a drop if he had him way but he loves Almond Milk. So, I gave him that kind for that specific reason. But, he wouldn’t budge for 2 hours. I was getting quite frustrated to say the least. Finally, I decided to give him some juice with his Miralax and see if we could start there. He drank it …..thank goodness. Then, I handed him back his milk and for some reason, he drank that, too. Silly guy! After breakfast, we were off to the playroom where we spent most of the rest of the morning until we were released. The rounding docs felt good about where we were and gave us a prescription for more Valium to give him only as needed. I never planned on filling it. We have an appointment Monday for our Pediatrician to check him out and will consult with the surgeon this week, as well, to line up his next surgery. Mark and Townsend arrived and I took my sweet little buddy downstairs for some fun. I try to do this each day when they come. Take Townsend somewhere alone so that he knows he is important, too. Sometimes we go to the cafeteria for a treat, to see the awesome fish tanks, to play with the interactive wall, outside to a play area, or his favorite, to see this train that runs around the top of the toy store/gift shop. It is really hard to see how his behavior towards me has changed over the last few months. I have been with Cannon at the hospital for 3 weeks out of the last 3 ½ months. I think Townsend just doesn’t expect to see me anymore when he wakes up and that is super hard for me to take. But, we are all doing the best we can with the situation. So, I took him down to see the train and I bought him a special new stuffed giraffe. A Zoobie to be exact. He was happy. When we got back upstairs to the playroom, I noticed Cannon seemed different. He was scripting a lot and not making any eye contact. (Scripting is when he repeats things he has heard from a book, movie, or TV show over and over…..there is no original thought involved. It is kind of like nervous energy in vocal form….if that makes sense.) He had a few mini meltdowns over different things while we waited to get his discharge papers. Mark and Townsend left ahead of us for home and when it came time to leave, one of the nurses helped me carry the last of our things down to our car. The entire way down and to the car, Cannon was screaming “NO!” and “Hospital!” Over and over…..louder and louder. By the time we got to the car, he was so worked up…..it took she and I 5 minutes and a lot of muscle power to get him strapped into his car seat. She decided there was no way we could make the trek home like this and ran back inside to get him some Valium. She returned, I administered it, and we were headed home. He screamed for a long time and then fell hard asleep. He woke up before we got home and got going again. When we arrived home, he ate some lunch and continued to script like crazy. All afternoon and evening was nothing but scripting. It was so hard because he was so disconnected. I couldn’t get him to look in my eyes even for a second. That is not normal and frankly, all the meltdowns aren’t normal either. They are only frequent when he is impacted and in terrible pain. So, this just doesn’t make sense. I spoke with our Feeding Therapist and told her that the only thing that made sense to me in regard to Cannon’s “leaving the hospital meltdown” was that maybe he understands that once he leaves the hospital he is going to start feeling bad again. She agreed. He is smart and I truly believe this is how he is feeling right now. At bedtime, it took him over an hour to fall asleep because he just couldn’t stop scripting. You find yourself begging and pleading with him to stop and just relax. Knowing full well that he can’t figure out how and would if he could. It breaks a mother’s heart. Breaks it right in half. I was really sad tonight and knew that I had to surround myself with God and nothing else to keep “living vertically.” So, I popped in a DVD I purchased recently per my good friend, Jenny’s, recommendation. It is called “Fruitcake and Ice Cream” with Louie Giglio. The point of his message, to me, was to fully get across what grace really means and how it is truly God at work in our lives. 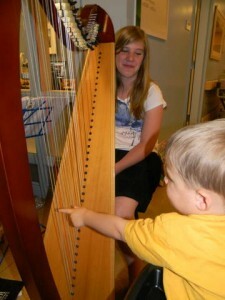 He harped on the life of Jesus and how he was without sin and came here to Earth to take our sins away. And that all we have to do, no matter where we are today or where we’ve been, is ask for forgiveness and allow him to come into our heart and life……and He will! Even though I have “crossed that bridge, personally” it was a great reminder on this Easter Eve of the loving lovesick Father we have in Heaven. And how I want to live my life in a way that is pleasing to Him and that honors Him. The DVD told a beautiful story of a completely anit-God college student who comes to know Christ through a Christian roommate. He reads from her personal journal and shows the before, during, and after story. Pretty powerful stuff friends! Might need to get your hands on a copy! In the end he reads the lyrics to a beautiful song that many of us know but I feel compelled to cut and paste. It is called “Mighty To Save.” I pray that you will allow the lyrics to touch your heart and minister to it today…..no matter where your heart is spiritually! I love you all! Here they are……. These words just really moved me tonight. I hope they do for you as well! Unfortunately then, we got the news we were hoping we wouldn’t hear. I bumped into one of our doctors in the hall who told me the biopsies came back early……and Cannon did not have either Hirschsprung’s Disease or Intestinal Neuronal Displacia. That means he will have to get the surgical implant in his side. To say we were bummed, is an understatement. I turned away so no one could see the tears that sprung immediately to my eyes. I headed back to the room to deliver the news to Mark. His reaction was similar. After talking with a sweet friend who came to visit for a little while, the nurses decided Mark and I needed a break and sent us off for a few minutes while they watched the kids. (We must have really looked awful!) So, I grabbed my Bible and we headed downstairs for the Meditation Room. As we stepped off the elevator, there was our precious pastor and his wife ready to come see us. So, we all went and talked and prayed together. It was so encouraging! When they took off for Good Friday Service, Mark and I spent a few more moments praying and I shared with him some of the passages I’ve been sharing with all of you this week. I am so thankful to have had that time to get a little refreshment and perspective. Thank you to our wonderful, wonderful nurses! A couple hours after we returned, things began to get better. Cannon began to relax and stop getting so upset. The medicine’s cramping effects were wearing off. They decided to be sure so we stayed one more night. When we got the tough news, I thought immediately of this song on the “Music” page…….”Waiting Room” by Jonny Diaz. Part of the song deals with getting the news you didn’t think was best and how you have to trust that God is wiser than you. It also says that I need to praise God whether I get the answer I want or the one I don’t. And the chorus goes like this…….”You have a much better purpose, and you have a far greater plan, and you have a bigger perspective cuz you hold this world in your hands.” This really says it all. Doesn’t it? I just need to manage to keep my eyes on the prize…..my Lord……and trust Him to come up with the best plan for Cannon and our family. I really honestly do have peace about this surgery….that it is the best chance for Cannon to feel better…..I am just sad that he has to go through it. I sat down to write this post and seriously had trouble remembering the entire morning. Sheesh! 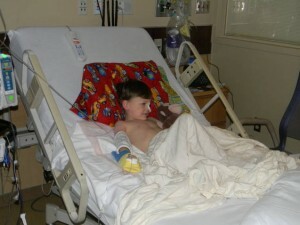 Mostly, we were just biding time until it was time for Cannon’s biopsy. He took a nice nap, read some books, watched some videos and just relaxed. (Thanks to the Valium!) Cannon had also finished his Go Lytely cleanse the night before and so the portable x-ray machine was sent up to take another picture of his belly. The surgeon and his resident came in and re-explained the procedure so that we were comfortable. They were doing the biopsy to test for 2 issues: Hirschsprung’s Disease and Intestinal Neuronal Displacia. The first issue would require the surgery I mentioned yesterday and would be great (in our eyes) because it should totally fix his problem. The latter would still require the Chait Button and wouldn’t really change much in terms of his treatment. It would just be a better understanding of the mechanics of his problem. Around 12 noon they came and got Cannon for his procedure. He was wheeled on a stretcher downstairs into the surgery holding area. There we met all the Nurses and Anesthesiologist that were going to be working with him today. He got so very upset and screamed so much with all the different people around and talking to him that the Anesthesiologist went ahead and gave him some pre-procedure meds. This calmed him and he nearly fell all the way asleep while we finished waiting. They took him back a few minutes before 1 and the doctor was done and giving us an update by 1:45. He was able to get a good sample to biopsy and he took that sample straight to the Pathology Department himself. It will take a couple of days to get the results. We were allowed to come right back into the Recovery Area and told it shouldn’t be long before he would wake up. Well, it was 4:30 before he as much as moved a muscle. He was out cold. The Anesthesiologist checked on him at one point and assured us that all was well. He was just sleepy. When we finally got back to our room, we got the most wonderful news! Cannon’s x-rays were clear! No more impaction! It was such amazing news! Now, not only would he require no more medicine or procedures for that particular issue but we could pull his NG tube out of his nose! We were also able to cover his I.V. and give him a shower. And boy did he need it! Phew! He was still incredibly groggy and unstable though so I had to hold him upright throughout. I got him dressed and his nurse re-taped his I.V. We decided to give the playroom a go. He had been begging to go there for days. Well, it was short lived. He was just totally unstable and wouldn’t allow us to help him at all. So, we had to scoop him up and bring him back to his hospital room. He did not like this and proceeded to let us know so loudly and for such a long time that the doctors prescribed him another dose of Valium. This allowed him to relax. He could also eat regular food now that the cleanse was over, so he ate ferociously. Apple sauce, jell-o, cereal bars, 2 rice cakes with peanut butter and 2 cups of apple juice. We were so glad to see his appetite back. So, now our mission is to wait and see what happens. Usually, the first couple of days after a cleanse are just plain terrible and full of screaming as the medicine they gave him for the cleanse causes awful cramping afterwards. So, they may keep him in the hospital to help regulate his pain while we wait for the biopsy results. They also could send us home if the pain isn’t too bad and we would come back once the doctors decide which surgery he will needs. As I meditate on how I am feeling about waiting on the biopsy results, I began thinking of the sermon at our church last week. Our pastor spoke on “vertical living” and how it related when you were in times of your life that were tough. One of the things he said stuck out to me. “Focus on God’s character not my circumstances. “ So, basically if I just meditate on all the amazing characteristics and qualities that make God….God….then, my circumstances are turned over to Him and I will have a peace about the situation. Because I will feel so safe and comfortable knowing that the Great Physician, Wonderful Counselor, Mighty God, and Everlasting Father is on my side. Right?! And the sermon also brought to my memory something my Grandpa Grady always used to say. “Keep your knees down and your chin up.” Is that the best advice ever or what?! Be blessed friends! Our 3rd day here began the same way our 2nd did……..with Cannon receiving the “Go Lytely” medication through his “NG” tube. During the night, he completed one gallon of the medicine and the doctors decided to begin another gallon because his “results” were not quite clear yet……which is the goal of the cleanout procedure. To flush him out completely. Around 9 a.m. they took an x-ray to see where we were and found that the impacted area had moved slightly but not much. So, we continued instead of stopping the 2nd gallon. The surgeon came in as well and threw us another curve ball. He wants to try one more thing before putting in the ”Chait button” I mentioned yesterday. Cannon has had biopsies during his previous endoscopies but never a deeper biopsy for something called Hirschsprung’s Disease. (I think I spelled that right.) This is a condition that usually presents itself as an infant but can still occur in kids Cannon’s age…..just rarely. I mentioned it as a possibility to our last G.I. doctor over a year ago when both our pediatrician and feeding therapists asked me to run it by him. He quickly discounted it because he said it was only in infants. My understanding of the disease is that kids who have this have a section at the base of their G.I. tract where “ganglion nerves” did not form. So, they struggle to use the bathroom because they can’t feel it properly. Once the surgeon biopsies the area, it will take a couple of days for the pathologists to come up with the results. If it is Hirschsprung’s Disease, they can fix it! They would surgically remove the dead area of nerves, pull down what is above it, and sew it in. And he would be good as new!!!!!!!!!! But it is a fairly big surgery. If it isn’t Hirschsprung’s, then we will most likely have to go ahead with the “Chait button.” So, we are totally praying that it is this crazy disease! What a much less stressful solution for the long run! But the chances are very low the doctors said. I told them that I will take hope, no matter the dose! The biopsy will occur sometime in the early morning tomorrow. The rest of our day today was spent just changing diaper after diaper. And as you can imagine, he now has a bad rash but we are treating it with creams and sprays to make the changes more bearable. When the 2nd gallon dripped its last drop into his veins, he was asleep for the evening. 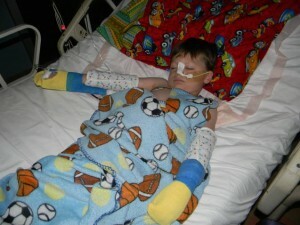 So, it was decided to discontinue the “Go Lytely,” let him rest, and we will x-ray tomorrow before or after the biopsy. We are all interested to see if his colon is finally clear. This hospital never ceases to amaze me with how above and beyond they go to make the kids that are forced to be here comfortable and happy. Guess who visited Cannon today in his hospital room, besides his Preschool Aide, ABA Therapist, Physical Therapist, Preschool Teacher, and one of my sweet friends??? 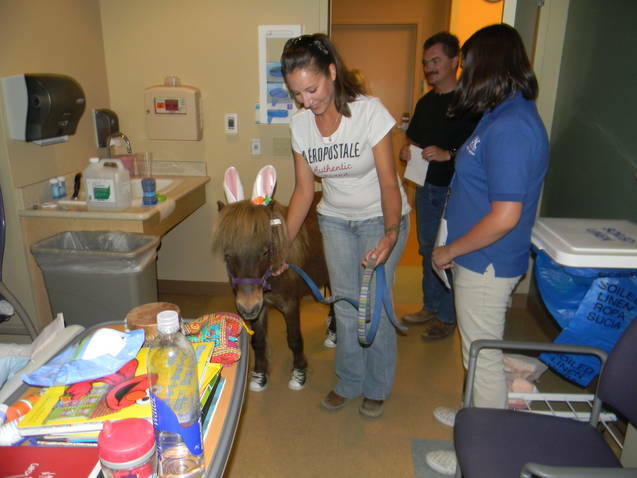 A miniature horse named Snickers!!! I couldn’t believe it! The horse was even decked out with tennis shoes and bunny ears! Cannon had been totally mellow, not saying much or showing any emotion all morning. But, when a horse walked into his room…..he sat right up! He petted him, talked to him a little, helped fix his bunny ears, and decorated him with stickers. Townsend got to join in the fun, too! What a great experience these people are providing for the kids! We actually rode this same horse around the parking lot the last time we were here. We did not expect a personal visit but were thrilled to have it! Also, the Ronald McDonald House was celebrating an anniversary here today and Ronald himself stopped by Cannon’s room. 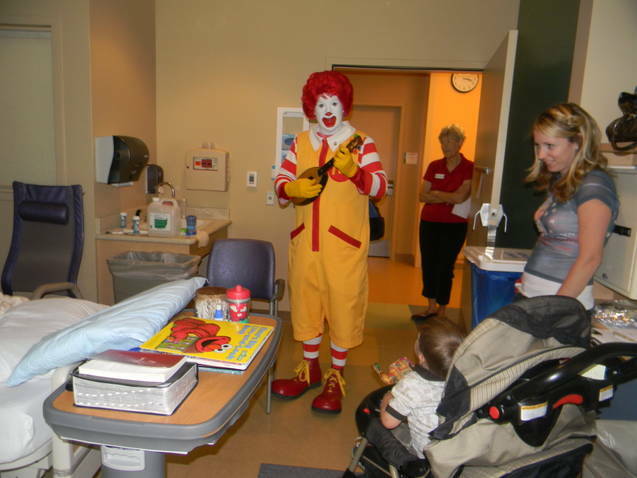 We couldn’t go down to the party because of Cannon’s treatment so Ronald came to see him. He talked to Cannon a bit and then played him Twinkle, Twinkle Little Star” on his yukelele. He asked if we had any requests so I mentioned Cannon’s current favorite song……..”On Top of Spaghetti.” He rattled it right off! Cannon was so impressed and smiled! It was so great to see him happy even though it was such a tough day. 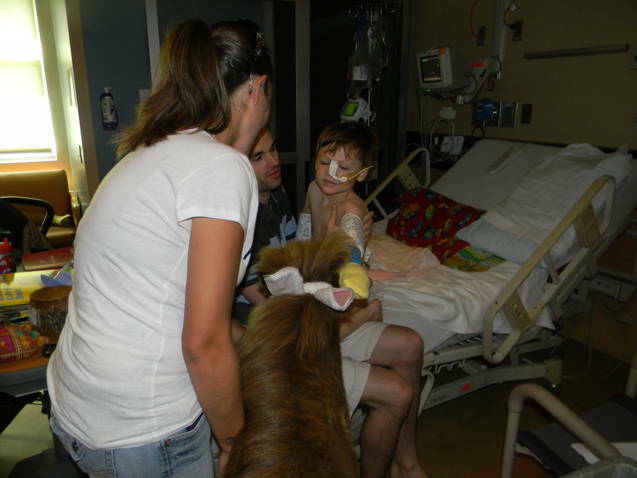 We are so grateful for people who volunteer their time to bring a few moments of joy to our little guy! And to all of you who are praying for our family! We are beyond blessed! Early this morning, around 5 a.m., Cannon began getting the medicine he needs to clear his impaction He got this medicine through his “NG” tube which is a tube that goes through his nose and down into his gut. The medicine is called “Go Lytely.” If you have ever had a colonoscopy, it is the terrible tasting stuff you have to drink for that which helps to flush everything out of the body. Around about 11:45, we finally began seeing the “results.” The rest of the day was spent changing nearly a case of diapers. Cannon is still on his scheduled Valium dose to help him cope with the stress of all of this. It’s hard when his arms and hands are restrained, he can’t play with toys, and he is constantly getting soiled and being changed. 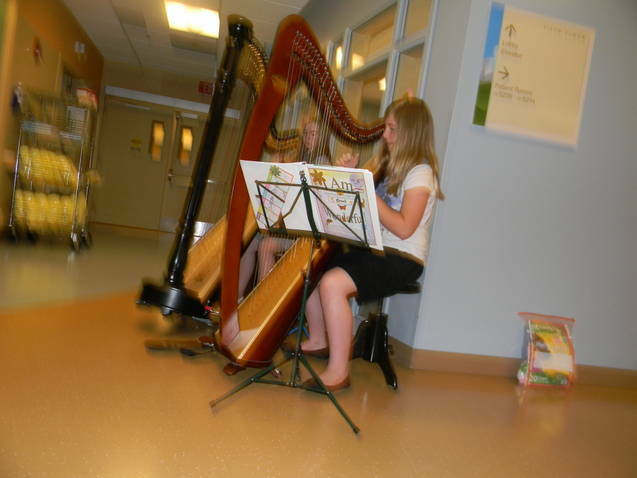 This hospital has the most amazing Child Life Department! They are a division of the hospital that uses play therapy to help kids in hospitals cope with their hospital experience. (I am currently doing a toy drive for this department if you are local and interested.) 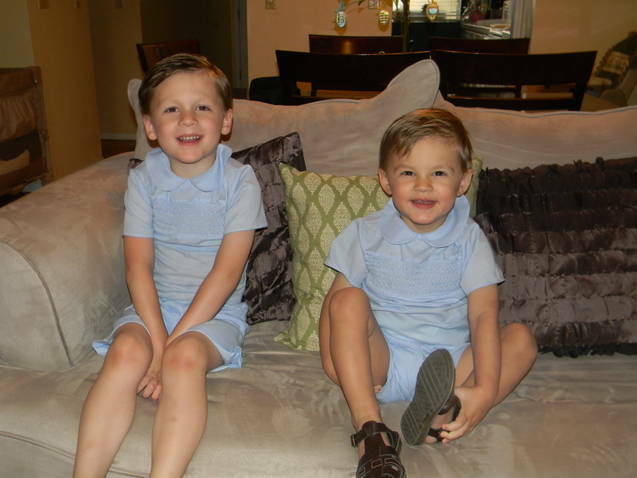 They are very aware of Cannon and his issues since they have seen him so often this year. 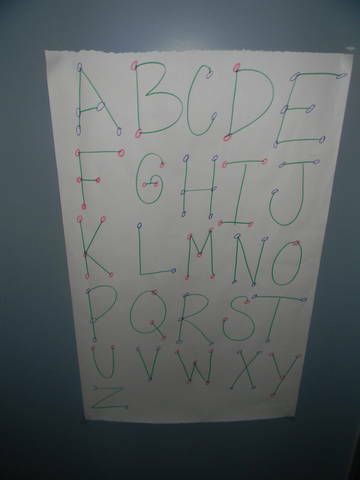 One of the Child Life Specialists who adores Cannon and knows of his Hyperlexia, made him this poster for the wall of our room today. Now, his beloved letters can help comfort him all throughout the day and night. Isn’t that the most loving, thoughtful idea! This afternoon our G.I. doctor came by to see us. We were shocked at what he had to say. His opinion is that “this is not okay”…….3 hospitalizations in 4 months……and that it is time to do something radical. Cannon is not responding to treatment and he is on a tremendous amount of motility medication. The doctor recommends that Cannon have surgery to have an external button placed in his side. This button will somehow open and we will be able to give him medicine through it daily. This medicine is called an “Antegrade Continence Enema.” Basically, he explained to us that regular enemas go up “the back door” and only are able to clean out a small area in the lower colon. Cannon’s problem is almost always in the high part of the colon. This enema would access that portion and allow us to personally flush him out from the top to the bottom of the colon daily. He assured us that he will be able to swim and bathe normally but was clear that this is a fairly permanent option. He will have it for years more than likely. We were stunned! We figured that he would recommend another new diet and new meds……like usual. Not something this life changing and permanent in our 4 year old. I needed a while to process it and frankly……to cry. So, I spent a few minutes in the bathroom doing just that. After that, Mark and I had an emotional conversation where we both vented about how this was the last thing we wanted but we saw how needed it was. I, then, called our pediatrician, feeding therapist, physical therapist, and, of course, my mom. They are all reluctantly in favor of the procedure and see that it is time for this radical measure. I would be lying if I said I wasn’t worried. The biggest reason is that I wonder if Cannon will be able to tolerate this foreign object attached to his body…..with all his sensory issues. I hope it will be like other things that are hard at first but get better. But who knows…… Surgery was supposed to come up and meet with us today but didn’t. Hopefully in the morning. I am preparing a list of questions for when we see them. I have been trying to get into this book for a while now. I began reading it and for several days now have been stuck on the same page. Every time I open it, I read this one page and then I get interrupted and have to put it down. When I pick it up again, I reread the same meaningful page again. I feel this is no coincidence. Let me show you why………. The book is called “Crazy Love: Overwhelmed by a Relentless God” and is by Francis Chan. Here is a passage…….. If you know me well, you know that these two things…..worry and stress…..are big struggles for me. I am such a planner and have very high expectations for myself so I find myself stressed often. And I am just flat out a worrier. I cannot deny it. So, I feel God wanted me to read those words over and over so he made it possible. Now, I leave you with that passage to meditate on with me and also another. It is from Phillipians 4:6-7……..”Don’t be anxious about anything, but in everything, by prayer and petition, with thanksgiving, present your requests to God. And the peace of God, which transcends all understanding, will guard your hearts and your minds in Christ Jesus.” Be blessed friends! I keep a notebook on Cannon. Every day I write everything that goes in his body and everything that comes out. I also make note of behavior changes, doctor visits, therapy reports, and any different meds given that day. Because Cannon does not use enough functional speech, we have to rely on behavior to tell us how he is feeling. On April 8th, I began noting that he was very “overly sensory seeking.” Everyday this continued and was coupled with new symptoms. Some of which include loss of vocal control, literally bouncing off the walls, irrational and overly emotional behavior, loss of appetite, more “stimming” and “scripting.” Our dead giveaway symptom is when he runs full speed into the arm of the couch so that it hits him square in the stomach. When I see that symptom consistently, we head for the hospital. This time was no different. I rushed to pay some bills and pack a few bags. Then, we were off to the Emergency Room. We waited in the Waiting Room for about an hour and a half. This was quite hard and produced quite a lot of yelling and screaming. I got a few glares. Oh well. I fed him snacks, helped him color, and played with some of the toys with him. Finally, we were triaged. They always tell me he has good bowel sounds and look at me like I am crazy. Cannon can look perfectly healthy and be impacted. It’s a tricky part of all of this. It is just so hard to tell. When we got a room in the E.R., we were assigned a nurse we had had in there before so that was nice. The doctor ordered the abdominal x-rays along with a chest x-ray. Cannon had an episode a month ago where we thought he might be impacted but it turned out he had no-symptom pneumonia. So, we wanted to check and be sure it was gone. When the results came back it showed that the pneumonia was gone but there was “significant stool load throughout but predominantly in the ascending colon.” This area of his G.I. tract is a real thorn in our side as it is the sight of the worst of previous impactions. My understanding of the problem is this. The ascending colon is where poop goes first in the colon. Your colon gets stretched out when you get impacted and can take anywhere from 2 months to a year to shrink back. The impaction also causes the muscle to lose the strength it needs to push things through. So, some gets stuck and some keeps moving. It’s called “overflow.” Cannon has been so impacted so many times that his colon is really stretched out. Especially his ascending colon. So, we get him cleaned out and fairly soon after he gets re-impacted. It’s a vicious cycle to say the least. So, the staff knew he had to be admitted. They decided to start his I.V. and put the “NG” tube in down in the E.R. instead of upstairs. They have better resources down there. So, they did this and put him under conscious sedation to make it bearable for him. It’s always scary to do the partial sedation but we know it allows him to suffer less and one of the drugs they give him during this process helps him to not really remember the experience. He rested comfortably for most of the night after this. They will continue to keep him on a scheduled dose of valium until the cleanout is over. I opened up my Bible this morning for a little recharge and this verse jumped off the page at me. “Consider it pure joy, my brothers, whenever you face trials of many kinds, because you know that the testing of your faith develops perseverance. Perseverance must finish its work so that you may be mature and complete not lacking anything.” James 1:2-3……..It was just what I needed. Tomorrow will be ROUGH. The “results” of the cleanout will come fast and for a very long time. And I will do it alone for the most part as my husband will be home with Townsend. God always gives me the strength even though it is hard. I am not too worried! 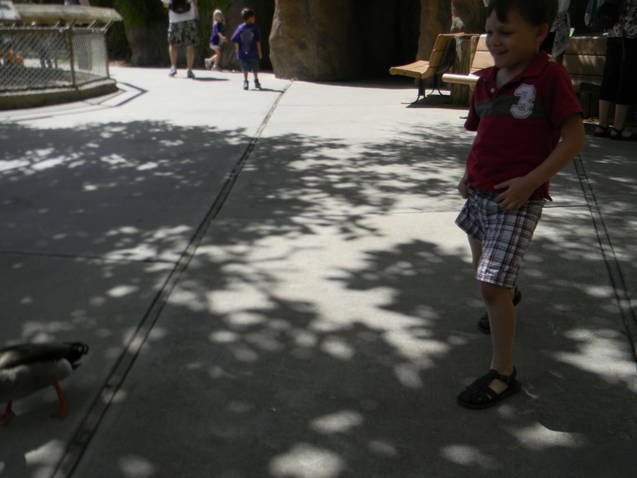 We used to go to the zoo quite often when Cannon was little. He loved it! 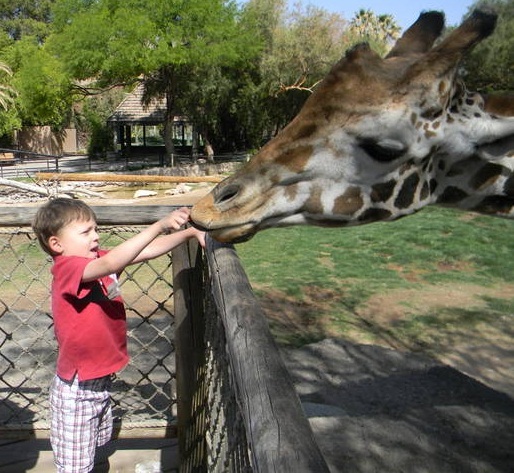 He loved all the animals, running around free, and feeding the giraffes. But when everything else changed, so did our zoo trips. It became impossible to take him as it was the site of many a colossal meltdown. So, we stopped going completely. His preschool class went last year for a field trip but we skipped out that day. This year, with a year’s worth of growth under our belt, it was time to try again. So, we did. We arrived about 15 minutes ahead of the school bus carrying the rest of his class so we stayed in the car as long as possible before going to the ticket area to wait. Waiting is not a pleasant experience when Autism is involved. Autistic kids do not have a patient bone in their bodies. But, the patience wore out in the car as well, so after a few minutes, we started for the entrance. Cannon, Townsend, and I ended up waiting about 10 minutes before the bus arrived. We found a bench and hung out. One of our therapists joined us to help me with both boys. 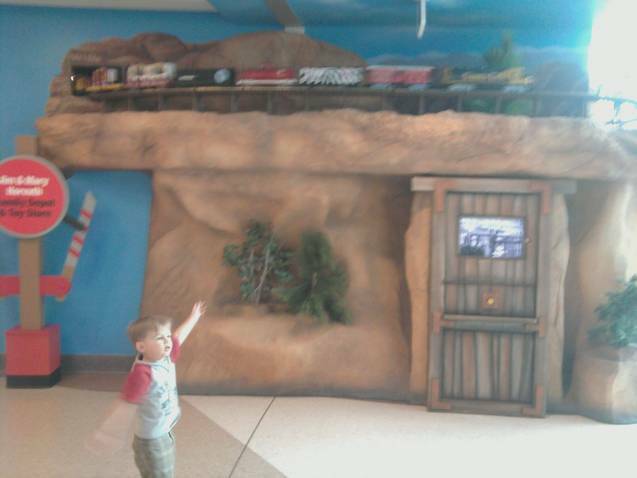 Cannon struggled immediately as the train was nearby and it was all he wanted in the world at that moment. He screamed non-stop and fought like crazy to get to it. Finally, the bus arrived and his teacher checked us in and allowed us to be on the first train ride. (She is AWESOME and so sympathetic towards Cannon!) Cannon snuggled into my lap on the tiny train. Until we got moving he screamed so loud and hard, a little boy sitting in our car asked to move. Story of our life. Once we got going, he relaxed a bit and enjoyed the ride. We rode around a lake and saw ducks, grass, a couple man -made waterfalls (it’s the desert so that is a treat), and lots of people playing in the park nearby. He was upset when we the ride ended but the snack I pulled out of my bag was an immediate fix to that. Cannon is HIGHLY motivated by food! We finished quickly. Yet, another of his issues. He stuffs himself, even if he starts choking, when you don’t control every bite. It is a sensory thing. The zoo allowed us to enter before everyone else and we were off. We saw a bear, tiger, peacock, elephants, and giraffes within minutes. Cannon did not like having to hold someone’s hand but it is necessary with him. He is chronic when it comes to taking off. He just wants to run aimlessly anywhere and everywhere without looking where he is going or paying attention to anyone around him. He will run into a fence or run someone over……that is just Cannon. 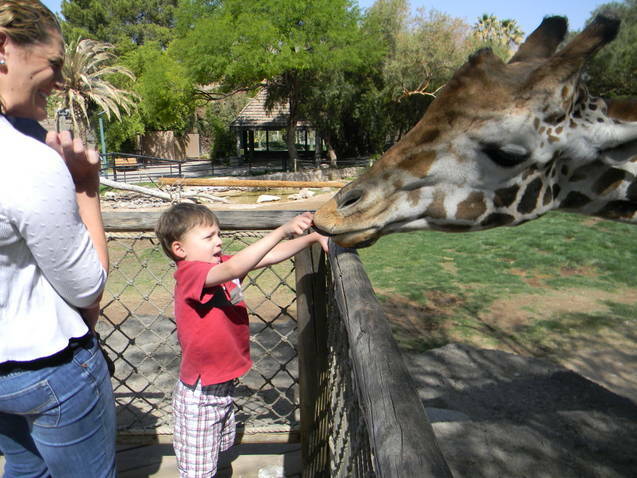 We wanted to feed the giraffes but the line was long so we waited until the line died down some. We still had to wait a bit, though, which provided for more screaming. He WAS impressed enough by them that when it was our turn and I told him the giraffes would run away if he screamed……he did stop. He, then, fed 3 carrots to a giraffe like a champ. Made his Momma proud! We washed our hands then were off to see more of the zoo. Things quickly got worse in the behavior department. There were several other school groups there that day and a lot of traffic on the walking paths. If you read “The Ten Things Every Autistic Child Wishes You Knew” on my “Links” page you will get a small clue as to what it is like to have sensory issues and go out into a public place. I imagine for him, just because I know him the best, it is that the congestion of people is scary, overwhelming, visually over-stimulating, and also just bothersome to him. He wants to run and can’t get through the crowd quickly enough. Also, all the sounds……animal noises, ringing cell phones, babies crying, kids yelling, gates opening, stroller wheels squeaking, etc…….all can cause a child to be set off. Smells, too! And we all know that there are plenty of smells at the zoo that can bother you. Now imagine if your sense of smell was heightened due to sensory issues. All of your senses are telling you that the world is attacking you and that your only means of coping is to scream and lose control of your body. So, he did that all through the rest of the zoo. The best thing I can (and did) do for him was scoop him up on occasion, have a seat, snuggle him, massage his tensed up muscles, and remind him that Mommy is here and I am going to keep him safe. We struggled through the rest of the zoo. We saw a polar bear, otters, lions, tortoises, and monkeys. Most of the animals, he probably didn’t even notice their existence because he was so upset. The things he showed interest in were a large, plastic tortoise shell that you could crawl through (a very sensory activity), a large spinning water wheel, and turning the crank of a souvenier penny mashing machine. The most fun he had all day was when 2 ducks walked across the path and he started chasing them. He was laughing so hard. But, of course, they were not amused and ran for cover out of sight. Which brought about the final and most colossal meltdown of the day. We didn’t even go through the final 1/3 of the zoo. It was just too much for him. So, I carried him out of the zoo kicking and screaming and we ate lunch on a grassy area in front of the zoo before leaving for home. We had some fun even though most of the time was tough. I plan to try it again soon because I do want Cannon to learn to face his fears. We just have to do it in small doses to keep it humane!